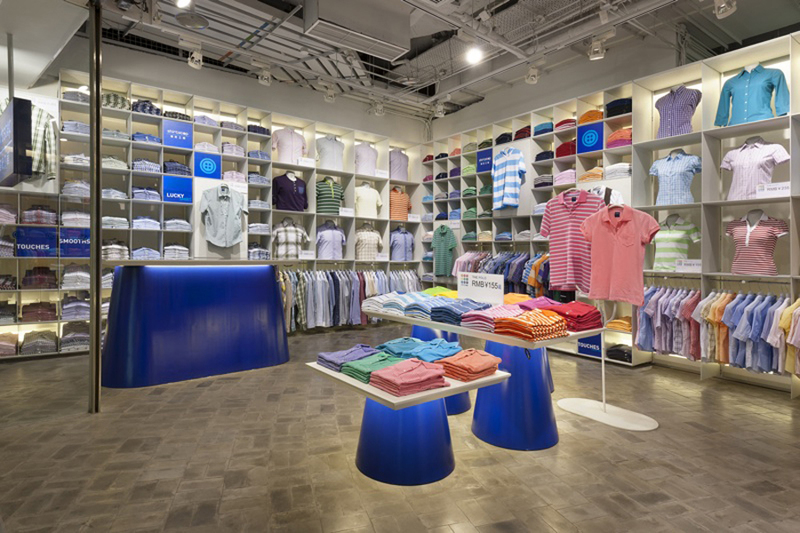 Design and realisation of a retail chain store that sells shirts in china. 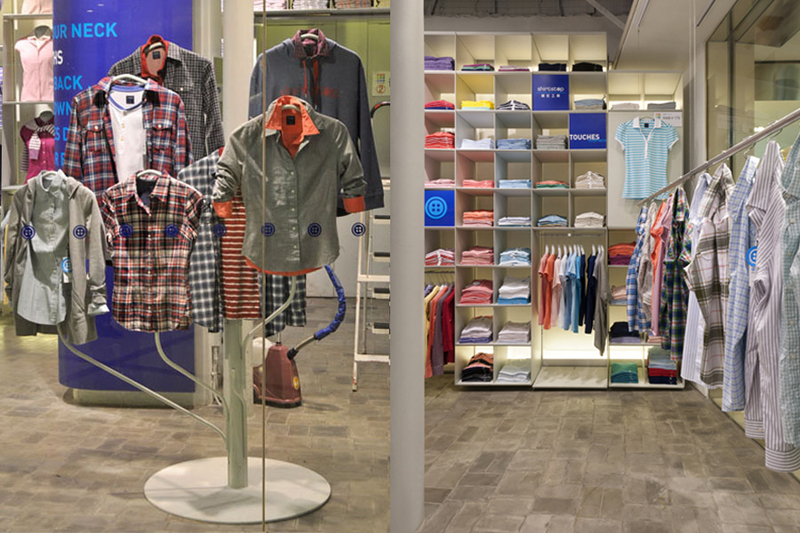 The project is done in collaboration with Three Dogs Retail Design. 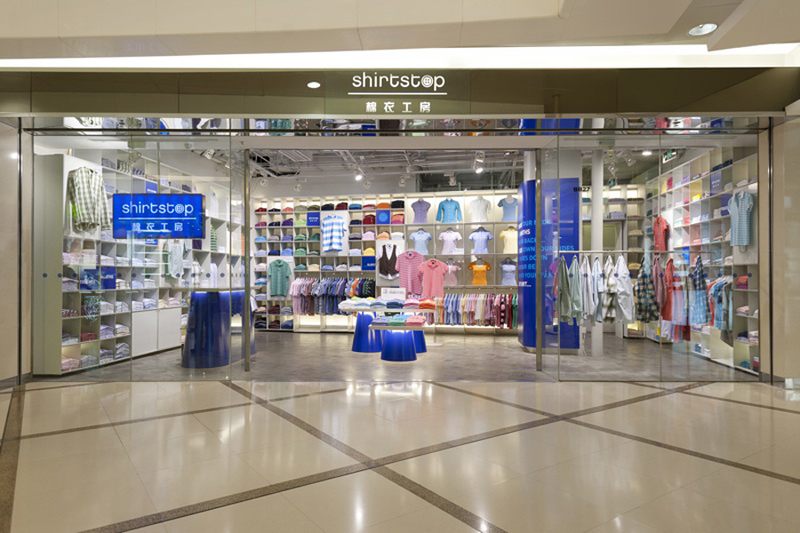 Shirt Stop is a good quality for value mass-market shirt shop. We needed to show as many different styles and colours. 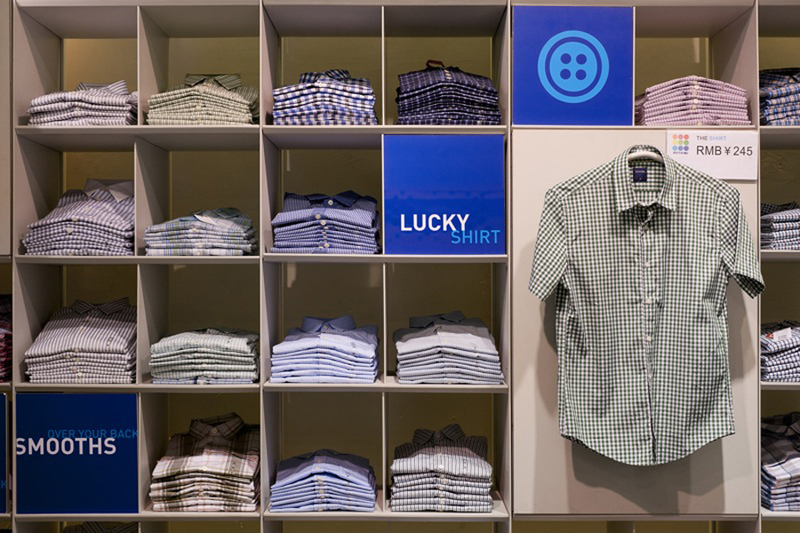 In a simple way that the identity and functionality would work in small stores as well as larger ones. 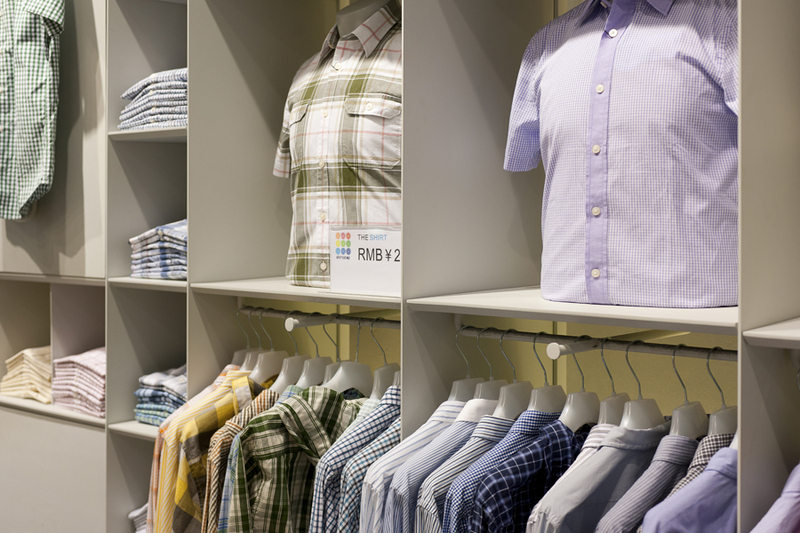 Currently we are working on a second generation store that positions the brand on a higher level.